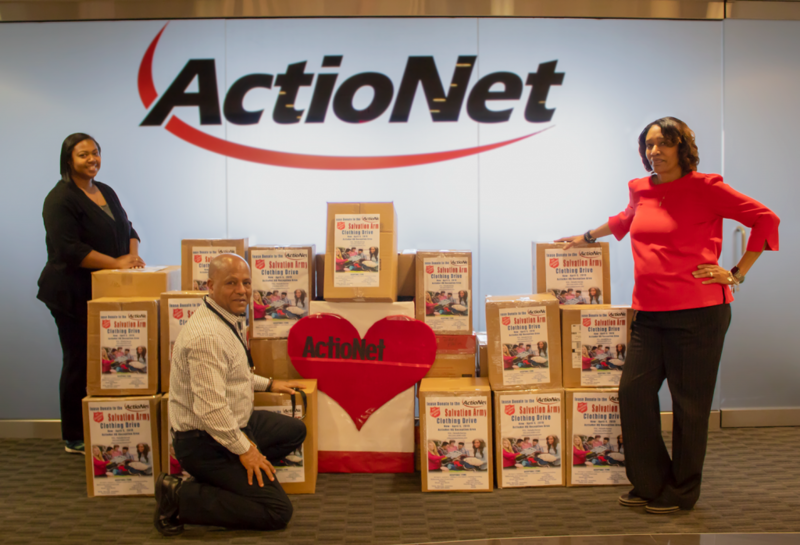 ActioNet will be collecting new and gently used men’s, women’s, children’s and infant’s clothing through April 2019. 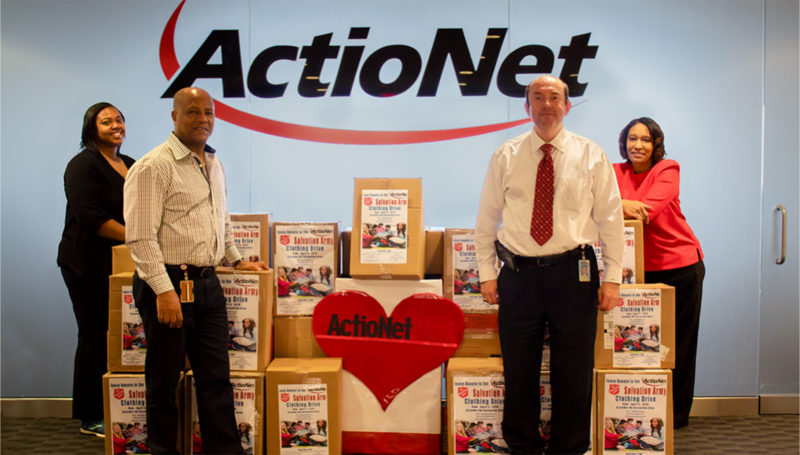 In addition to the Salvation Army Clothing Drive, Actionet will be celebrating Heart Health Month, Valentine’s Day, Lunar New Year and February employee birthdays. Please consider Wearing Red to the February birthday event. Items can be donated by dropping off at ActioNet HQ Reception Area. Acceptable items include: coats, hats, gloves, sweaters, dresses, shirts, blouses, pants, jeans, ties, belts, socks, shoes and boots. The Salvation Army operates 7,546 centers in communities across the United States. These include food distribution, disaster relief, rehabilitation centers, anti-human trafficking efforts, and a wealth of children’s programs. In the National Capitol & Virginia Division. The Salvation Army has 30+ centers, serving residents throughout the Commonwealth of Virginia and the Washington, D.C. Metropolitan Area. The Salvation Army is serving more people in the United States than ever before; and seeing large increases in the number of Americans seeking the basic necessities of life – food, shelter, and warmth. Approximately 30 million people received help from The Salvation Army last year. The Salvation Army’s work is funded through kettle donations, corporate contributions, and the sale of goods donated to our Salvation Army Family Stores. Eighty-two cents of every dollar spent supports various missions across the country. Please join ActioNet is supporting this worthwhile charity. April 11th Update by Michelle B. By the end of the drive, ActioNet collected over 680 clothing separates, accessories and suits in support of the Salvation Army. 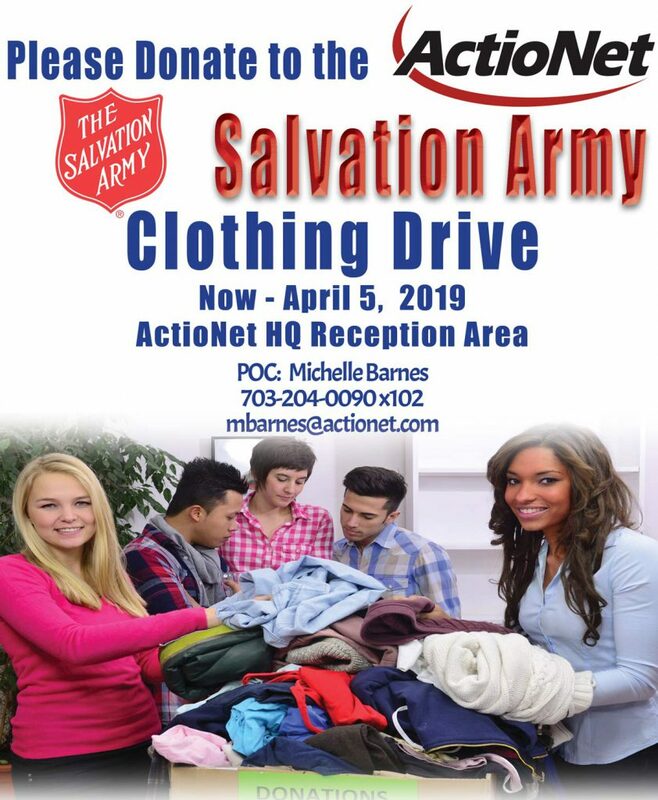 There is a saying that timing is everything; I must admit the clothing drive dates coincided with the change from winter to spring, the time most families begin spring cleaning. Whether is was timing, generosity or the willingness to help those in needs, the charity event for this quarter was a huge success. Thank you ActioNeters! Most of us are aware of the Salvation Army centers in communities across the United States, I would like to highlight one of their programs called The Pathway of Hope. The Salvation Army’s Pathway of Hope initiative provides individualized services to families with children who desire to take action to break the cycle of crisis and vulnerability. It seeks to address the root causes of poverty in addition to The Army’s history of compassionate serving. By helping families overcome challenges like unemployment, unstable housing, and lack of education, the program helps lead families down a path toward increased stability and, ultimately, self-sufficiency. The Pathway of Hope is a program that is national across the Salvation Army. It is focused on breaking the cycle of generational poverty. Let’s be mindful while the people they served might be strangers, each person served has a name.